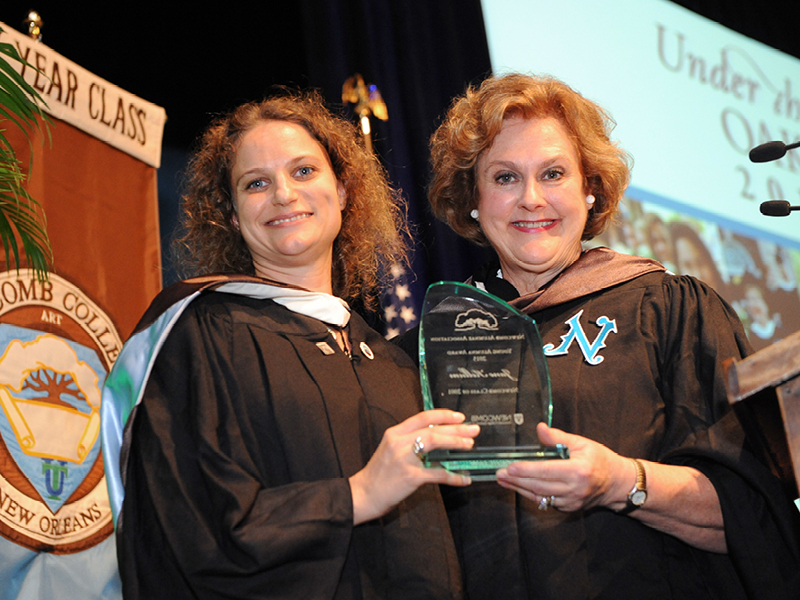 Newcomb Alumnae Association bestows three awards to Newcomb alumnae each year at Under the Oaks. Award winners have represented Newcomb with distinction since their graduation. Outstanding Alumna - This award is given to a Newcomb alumna who has achieved national or international recognition and prominence in her profession or her service during a sustained period of time. Young Alumna - This award is given to a Newcomb alumna who has exhibited ongoing contributions or achievements. Nominees are eligible for fifteen years beyond graduation, and have not attained the age of 40. Community Service - This award is given to a Newcomb alumna who has shown consistent and meritorious contributions to the community in which she lives. Nominations are good for three years. Instructions and the nomination form can be found below. Nominations must be received by February 15, 2019. Please submit your nominations for a deserving Newcomb alumna here. Congratulations to our 2018 Alumnae Award Winners! We are pleased to announce the recipients of the 2017 Newcomb Alumnae Association Awards. These awards are presented each year at the Under the Oaks ceremony, held prior to Commencement Day. These alumnae have represented Newcomb with distinction since their graduation, and all alumnae are invited to celebrate their achievements at the Under the Oaks Ceremony. See the date, time, and location details located under the Events Tab.